It was June 9th, 2012 when one of the most highly anticipated shoes of the year was set to release on Nike’s website, the Nike Air Yeezy II collaboration with rapper [God? ], Kanye West. The previous Air Yeezy that released in 2009 was only sold in brick-and-mortar stores, so the online release of the Air Yeezy II was a welcomed surprise by the sneakerhead community, which only drew more hype to the launch date. It was divine intervention (perhaps by the Rap God ‘Ye himself) if you happened to cop a pair of Air Yeezy IIs, as only five hundred were available in each of the two colorways of the shoe. Traffic was so heavy on this day that Nike’s website actually crashed. As a result of the limited quantities, the resell price soared up to as much as $96,000 on eBay (no, that’s not a typo) and still lingers around a four-figure price in specialty shoe stores today. This is an all too common occurrence within this phenomenon; sneaker collectors will pay obscene prices for the rarest (and sometimes the ugliest, but don’t tell them I said that) pairs of sneakers, which is beyond me because they are just shoes, they’ll be dirtied in one wear! Why wouldn’t companies, like Nike, supply more to increase their revenue? 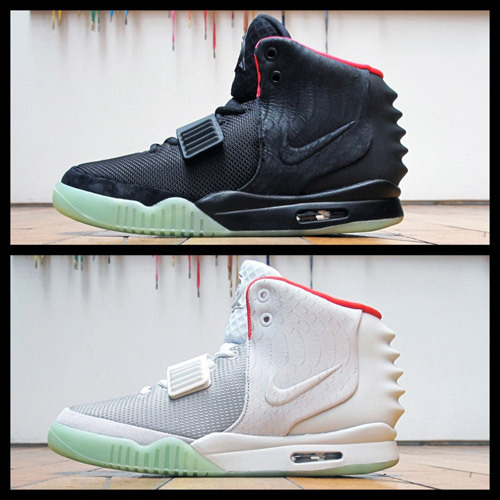 Nike Air Yeezy II Colorways: Cop or not? From an economic standpoint, wouldn’t it make sense to produce a product up until the point where the marginal cost of the producer (Nike and other companies) equals the marginal benefit of the consumer? In the case of limited releases, a shortage is yielded since the quantity supplied by footwear companies is less than the quantity demanded by consumers, as you can see in my first graph below. 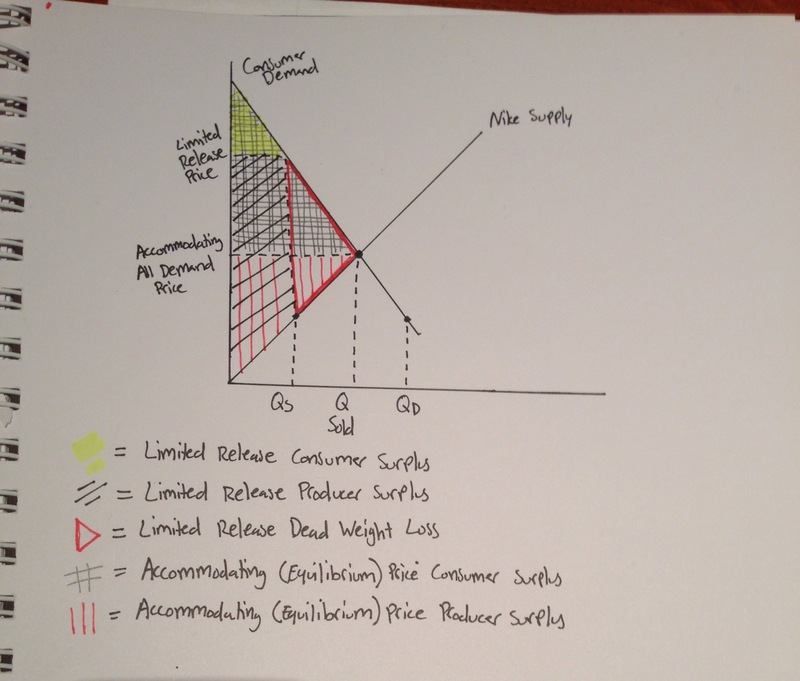 Let’s say Nike were to entertain my inquiry and increase their quantity of footwear supplied all the way to the equilibrium point where marginal cost equals marginal benefit (second graph). This would eliminate the shortage of sneakers and all of the sneaker collectors would be happy, right? 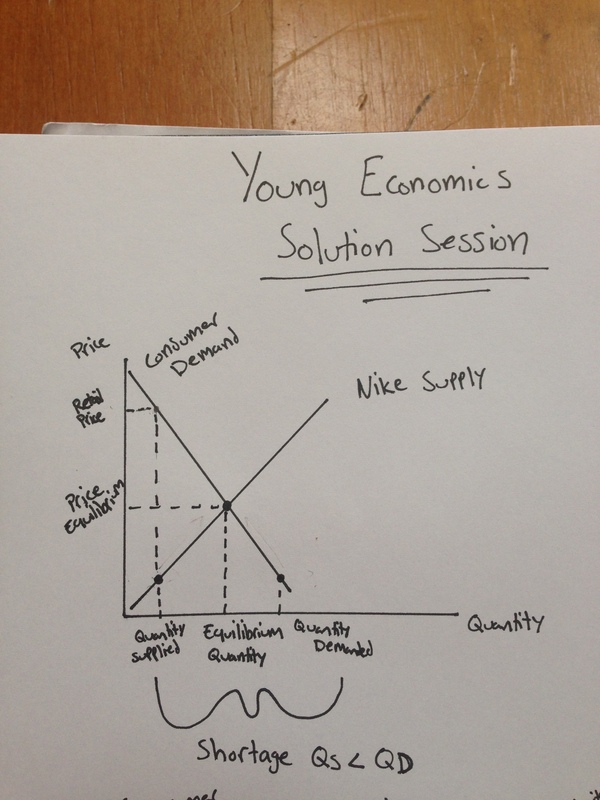 In theory, though, the quantity of footwear demanded by the sneakerheads would decrease, therefore resulting in less revenue and less producer surplus for the Nike brand(according to my final graph, you can see the producer surplus decreases a significant amount from the limited release retail price to the new accommodating equilibrium price). The consumer surplus of the sneakerheads, however, increases as a result of this change in quantity of shoes available. 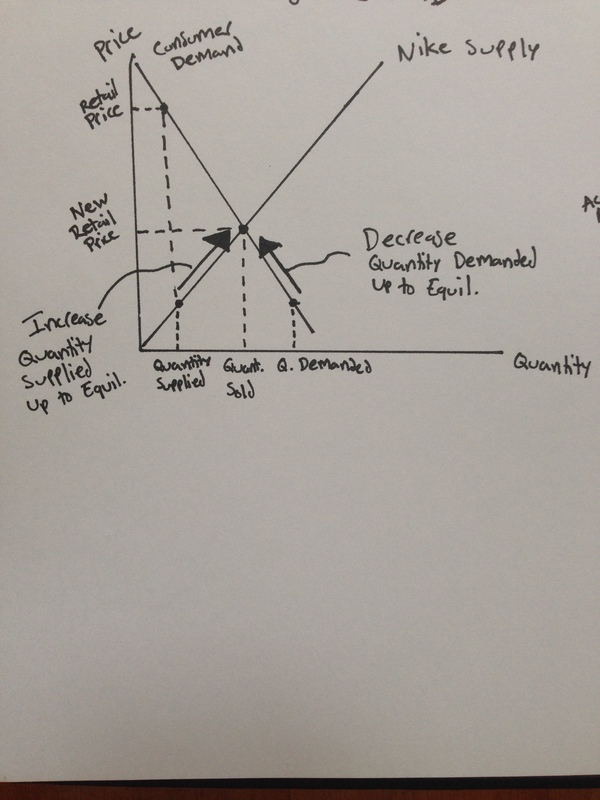 Unfortunately though, business practices are not always based off of consumer preferences, which is why the true consumer surplus of limited edition sneakers remains at the little triangle at the tippy-top of my graph. Why does Nike do this? Well, besides the fact that it is more profitable for the company to supply in limited quantities, it is because we continue to pay these prices and demand The Swoosh at such high volume! I wonder what Nike’s annual report has to say about this. *The final part of my research will be released tomorrow, thank you for taking the time to check this out. Respect to author, some superb information. Thank you very much, I appreciate the feedback!